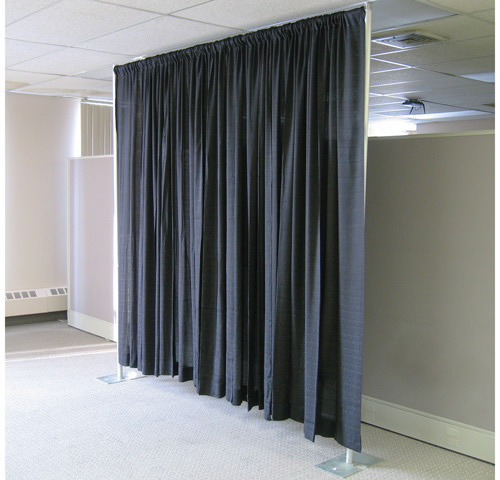 View Cart “12′ Velour Drape Divider” has been added to your cart. 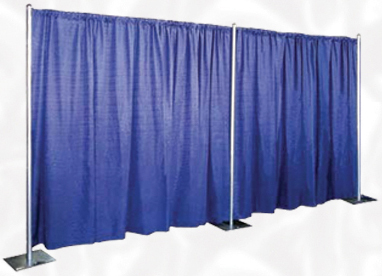 Champagne drape is a specialty drape offered for 8′ tall and 12′ tall dividers. 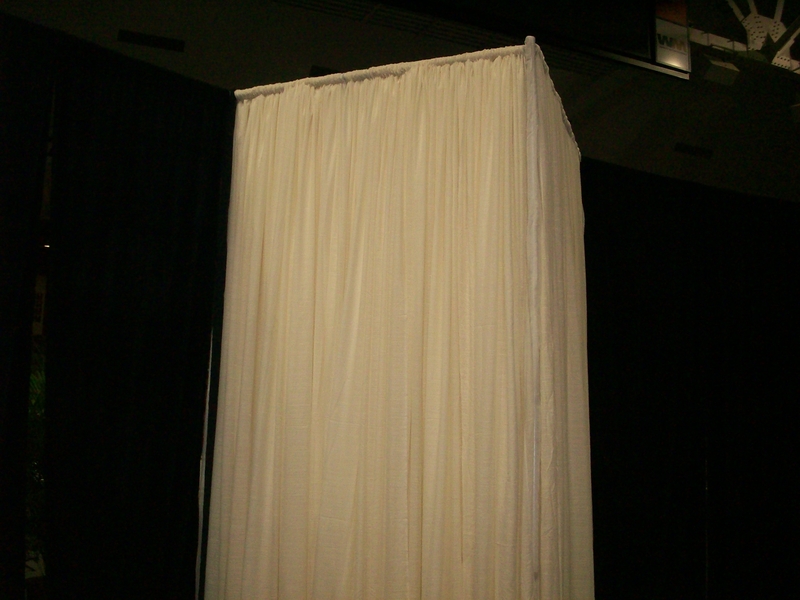 It is a pale ivory color, semi-transparent and is usually used in 5 panel sections instead of 3. 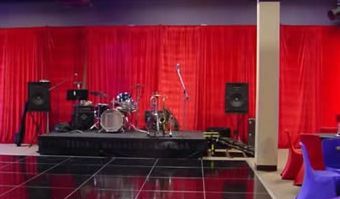 The resulting bunching, ruffling, and light-transfering properties allows for some pleasant and creative uses.